As part of plans to raise more money from tourism in Tanzania, its government has announced that it is giving a 50 days ultimatum to short-stay accommodation operators in the country. Government officials will go from ‘house to house’ in the coming days in order to register US-based rental service Airbnb operators in the country. “There are many individuals who are operating these facilities… We want them to be recognized officially by the government and pay required license fees.” Rosada Musoma, Tanzania’s Ministry of Tourism’s Assistant director of licensing and control said while briefing journalists in Tanzania. He also added that after the 50-day window for registration has ended, the government will arrest any operator that failed to register. Airbnb is a San-Francisco based company that specializes in the online marketplace and hospitality services. The company was founded 10 years ago by the trio of Brian Pesky, Joe Gebbia, and Nathan Blecharczyk and is now worth $2.6 billion. The online company allows residents of a city/country to rent out their apartments, hostel beds, or hostel rooms temporarily to visitors or tourists who are seeking experiences in tourism or are just in the community for work-related activity. The company is operating in more than 80 cities in 191 countries around the world. The company usually charges the guests between 0-20 percent of the charging fees, and the hosts 30 percent of the charging fees. In recent times, tourism has become Tanzania’s fastest growing sector, with revenue from the sector valued at $2.3 billion in 2017. That number was 25 percent of Tanzania’s total Forex earnings. With this news, Tanzania hopes to gain more revenue through giving license fees to Airbnb operators who had before now been under the radar. A report released last year said there have been 2 million Airbnb arrivals in Africa since 2008, with half of that number arriving in 2016 and 2017. The most visited countries for Airbnb in Africa are South Africa, Morocco, and Kenya. The first two are also the top two tourist destinations in Africa. There have been controversies over how much government is entitled to from the charges, and if there should be taxes on them. According to Business Insider, the average income for Airbnb hosts vary across the continent. The average income for an Airbnb host in Kenya is under $1000 per annum, while it is $2000 in South Africa and #1000 in Morocco. Regulations on Airbnb vary; some countries have laws against individuals sub-letting their apartments for any period of time, while in some countries, there are licenses and registrations to fill before they are allowed to sublet their apartments to Airbnb. It seems Tanzania’s government is going for the latter. In 2016, the Ministry of Treasury in Spain sent letters to owners of properties that didn’t declare their earnings from subletting for Airbnb. They were asked to declare and pay taxes on them or face prosecution. The Australian government also did the same in 2016, requesting for the auditing of accounts of owners of Australian properties listed on Airbnb. With Airbnb unveiling plans this week for more expansion in Africa, many other governments would also be looking to make more money from the venture. 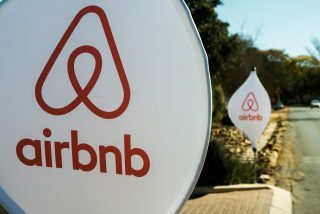 Airbnb South Africa country manager, Velma Corcoran told Business Insider SSA that her company is looking to focus on African markets that have great tourist potential. The Tanzanian government is notorious for placing heavy regulations on online businesses and marketplaces, which many have called an infringement on human rights. It recently implemented a raft of policies in a bid to generate more revenue from the internet and online services. The East African country approved a law in April requiring bloggers to pay $900 to obtain a license to blog, and then another $900 to renew their licenses every year. In a country where the average person makes less than $900, the law is seen as repression of press freedom in Tanzania by the government.